This free auditing course covers the ISO 9001 approach to auditing. It will give you a strong overview of evidence and findings, conformity and non-conformity, preparation, and pre-audit activities including system standards, protocols, and methodologies. It also discusses management system objectives and how information on the audit scope is presented, with reference to physical location, organizational units, and other important considerations. If you have finished the course ISO 9001:2015 Fundamental Concepts, this course will boost your auditing skills in no time. The course will show you how to achieve two types of audit report results and to identify how many types of audit findings are reported. Non-conformance and the activities that follow up audits, including corrections and how to measure the effectiveness of corrective actions, are also discussed. The course then teaches you about auditing plans and team members, and how to review documents, conduct interviews, and verify information. You will also learn how audits are conducted by collecting pieces of evidence and establishing findings, among other methods. You will then learn how to achieve document reviews, verification, and evaluation with regards to Quality Management and Environmental Management Systems (ISO 9001:2015 and ISO 14001:2015). This auditing course online will benefit professionals working in the areas of quality management. Also, if you are just getting started with auditing, the course will introduce you to basic auditing terminology as well as the different types of audits in a simple manner. ISO 9001 By the end of this course, you will grasp the general principles of auditing, the expectations of clients from audits, and the attributes of successful auditors. So, start the course now, and continue your professional development. 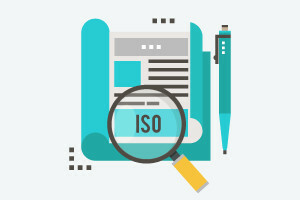 Describe how ISO 9001 helps auditors. Describe different types of audits. Summarise the attributes of successful auditors. Prove general principles of auditing. Describe the process of conducting an audit. Describe how non-conformance to requirements is reported. Explain how audit requirements vary with different management systems. Summarise the expectations of clients from audits. Outline how audit findings are followed-up.